Home > Shop By Brand > McKee's 37 Waxes, Compounds, Coatings > McKee's 37 Fast Water Spot Remover 128 oz. Remove water spots before they become something worse! McKee's 37 Fast Water Spot Remover is a powerful cleaner designed to remove topical water spots from your clear coat before they have a chance to cause permanent damage. McKee's 37 Fast Water Spot Remover is non-abrasive, non-caustic and is 100% safe for use on all exterior surfaces – including paint, wheels, glass, chrome, and more! With the ability to break down calcium deposits, McKee's 37 Fast Water Spot Remover can also be used as a first step removal product when dealing with the harsher type 2 and 3 water spots. Don't let water spots ruin your perfect finish – get rid of them FAST with McKee's 37 Fast Water Spot Remover! 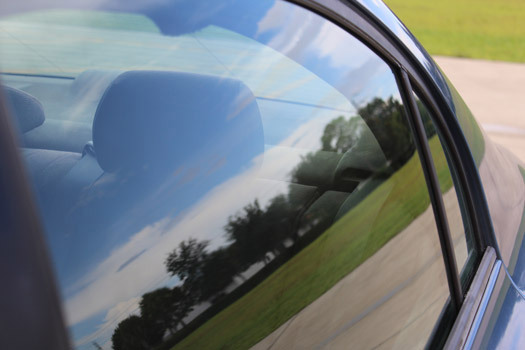 When your paint is protected with a wax or paint coating, your chances of acquiring water spots drop dramatically. The surface tension created by these types of protective coatings causes water to bead on the surface before rolling or sheeting off. Unfortunately, if your wax or paint coating is nearing the end if its protective period (or even worse, there's no protection at all! ), you are in danger of getting water spots. Water spots are easily some of the hardest imperfections to get rid of on your paint, so it's best to stop them before they have a chance to form! Drying your paint after every rainstorm or when you drive past a sprinkler just isn't possible, so it's best to have a back-up plan – McKee's 37 Fast Water Spot Remover! Formulated with a powerful cleaner that dissolves the mineral deposits that are responsible for creating unsightly water spots, McKee's 37 Fast Wax Spot Remover enables you to quickly remove topical water spots before they can cause permanent damage! Featuring a light, pleasant scent and easy spray-on, wipe-off application, McKee's 37 Fast Water Spot Remover will quickly become a must have in your supply kit! As you can see, this glass is in serious need of some quick water spot removal. Probably caused by a stray sprinkler, if the minerals and/or chemicals are allowed to dwell on the glass for too long, etching and permanent scars will remain. Simply spray McKee's 37 Fast Water Spot Remover directly onto the glass and allow to dwell. Then grab your clean microfiber towel, in this case they used the Forrest Green Edgeless Polishing Cloth (the short fibers allowed for quick removal and were perfect if a little extra scrubbing was needed). After wiping away the excess product, you are left with a waterspot free finish! Do not apply to surfaces that are hot to the touch. Spray a heavy amount of McKee's 37 Fast Water Spot Remover directly onto the affected area and allow to dwell for approximately 1 minute. 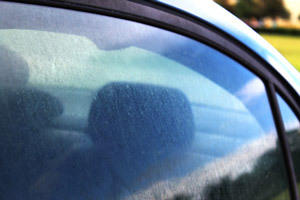 Wipe affected area with a dampened microfiber towel, or wash the vehicle using soap and water.